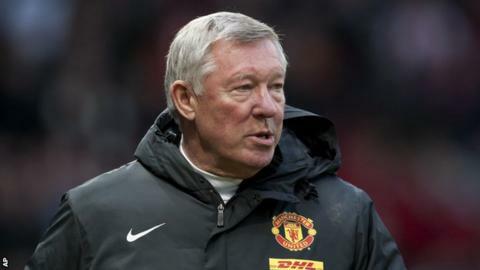 The Football Association has fined Sir Alex Ferguson £12,000 over comments he made about an official after Manchester United's Premier League game at Spurs. The Manchester United boss, 71, accused assistant referee Simon Beck of failing to give Wayne Rooney a "clear" penalty. The FA asked Ferguson to explain his comments and charged him on 29 January. He denied the charge and an Independent Regulatory Commission made the decision after a paper hearing, which meant the Scot chose to send in written evidence. "Following an Independent Regulatory Commission hearing today, Sir Alex Ferguson has been fined £12,000 in relation to media comments made after Manchester United's game at Tottenham Hotspur on 20 January 2013," said an FA statement. "Ferguson had denied the misconduct charge and requested a paper hearing at which the Independent Regulatory Commission found proven the breach of FA Rule E3." The Scot had appeared incensed after his side had their request for a spot-kick turned down prior to Clint Dempsey striking an injury-time equaliser for Spurs in the 1-1 draw. "There was no way the linesman was going to give that - he gave them everything," said Ferguson after the game. "It was a clear decision. And he was 10, maybe 12 yards away from the incident and he doesn't give it. And yet he gave everything else." The Scot also referred to a previous incident involving Beck in the 2-1 defeat by Chelsea in April 2010. Despite Chelsea striker Didier Drogba looking offside, Beck allowed the winning goal and it proved a pivotal moment in the Premier League title race, which Chelsea eventually won. "I am disappointed with him [Beck] - we have not had a good record with him," Ferguson told BBC Sport after the Spurs match.